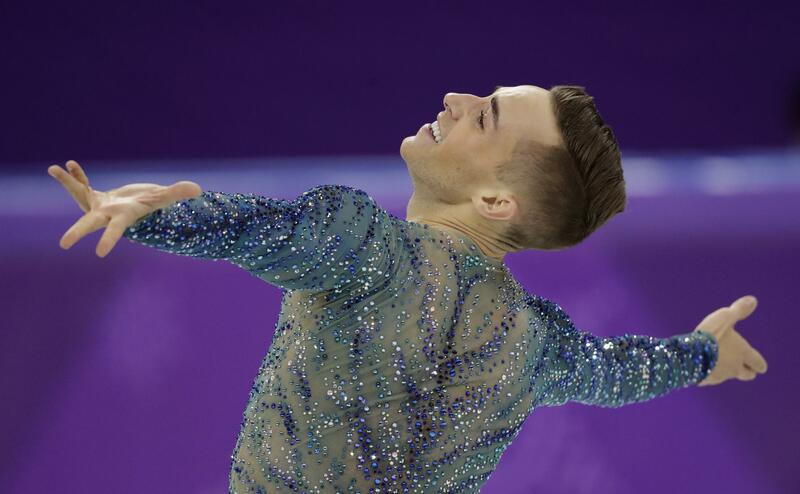 UPDATED: Sat., March 17, 2018, 10:25 p.m.
U.S. figure skater Adam Rippon, who proclaimed himself “America’s Sweetheart” during his triumphant debut at the 2018 Winter Olympics, will perform May 18 at the Spokane Arena, as part of the 2018 Stars on Ice tour, the venue announced Friday. The event will also feature U.S. Olympians Nathan Chen and Ashley Wagner, as well as Alex and Maia Shibutani, who were on the same Olympic team as Rippon that won a team bronze medal. The Shibutanis also won a bronze medal for ice dancing. After being selected to represent the United States in the Winter Olympics in Pyeongchang, South Korea, Rippon became the first openly gay U.S. male athlete to win a medal in the Winter Olympics. In the days surrounding his Olympic debut, Rippon publicly feuded with Vice President Mike Pence, openly questioning Pence’s appointment as head of the American delegation. He called out the vice president for his past support of conversion therapy, as well as criticizing his record on LGBT rights more generally. Since gaining the Olympic spotlight, Rippon’s public image has exploded, and he has been a regular feature of magazines and the talk show circuit. His Twitter account has nearly half a million followers. Tickets to the Spokane Arena event are currently on sale at the Spokane Arena Box Office. They can also be purchased at TicketsWest.com, or by calling (800) 325-SEAT. Published: March 17, 2018, 6:24 p.m. Updated: March 17, 2018, 10:25 p.m.